Cognizant is one of the world's leading professional services companies, transforming clients'​ business, operating and technology models for the digital era. As an AIM Graduate Trainee at Cognizant, you will be a part of a fast growing, global organisation which is a leader in business and technology services, who provide a full range of services to our clients across a variety of industries. 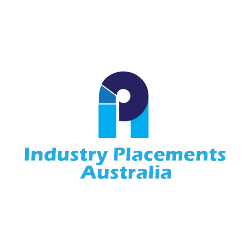 If selected, you will be assigned to a client engagement in Australia, where you will work alongside experienced Associates to deliver technology solutions. Analytics & Business Intelligence - In this track candidates will grow their expertise with Big Data, Data Visualizations, Business Analytics &/or Data Warehousing. Data Sciences - In this track candidates have an opportunity to prove their aptitude for advanced analytics using complex mathematical & statistical models to provide clients with actionable insights to drive key business decisions. unmatched passion for analytics & technology, building solutions to solve customer problems & adding real business value to our long list of clients. Get updates on latest IT & Technology Jobs in Australia - Sydney.